Dear Jerks: "Whenever You See Fit" by Modest Mouse & 764-HERO: Let's Do One of Those Anniversary Write-Ups, Shall We? Fifteen years ago on Valentine’s Day, two of the Seattle area’s most-likely-to-succeed indie rock bands consummated their mutual appreciation by recording a sprawling fourteen-minute song that they had cooked up while touring together. “Whenever You See Fit,” a spacious rise-and-fall reverie, was released on 12” vinyl that summer on July 7th, 1998, with two abbreviated remixes on the flip side. Five years later, one of the two groups would be dissolved, while the other would soon be entering the studio to lay down what would become their first Billboard No. 1 hit, bringing them international acclaim, a Grammy nomination, and a kind of minor ubiquity. The existence of “Whenever You See Fit” makes less sense as time passes, but when it first landed on the shelves at record stores across Seattle, it was pure wish fulfillment. At least, it was wish fulfillment for one native whose list of favorite local bands had Modest Mouse and 764-Hero at the top. 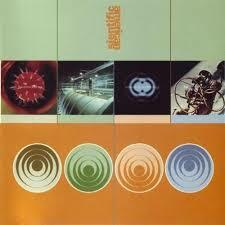 The year before, in the fall of 1997, both groups had put out their best discs to date. 764-Hero’s We’re Solids EP, a trebly short punch after their spare and contemplative debut, Salt Sinks and Sugar Floats, had come out that October. A month after We’re Solids, The Lonesome Crowded West dropped, instantly becoming required listening everywhere between Bellingham, WA, and Eugene, OR. It seemed like every other show that Modest Mouse and 764-Hero played in town was with each other, and they frequently took that camaraderie on the road. Languid yet insistent, “Whenever You See Fit” was, and still is, more than just a love letter between two bands; it’s a defining scene document. But defining the song itself is a bit trickier than it first seems. 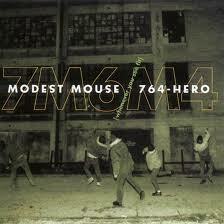 The artist credit is separated as Modest Mouse/764-Hero, but it is not a ‘split’ record in the usual sense. They are playing one song, together. That togetherness is textually reflected on the cover with the large outline-lettered “7M6M4” behind the Modest Mouse / 764-Hero; which uses a smaller-print bracketed title of the song for the hyphen dividing the names. Other technical details only add to the conundrum. Is it a single because it is one song backed by two remixes? 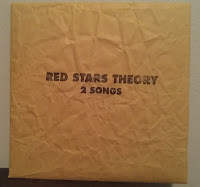 Is it an EP because it takes up a full slab of vinyl, and is longer than, say, all of We’re Solids? On that note, it’s also a mere two minutes shorter than Meet the Beatles. 764-Hero's 'High School Poetry' 7": Better than poetry. “Whenever You See Fit” was also a split release between two new-ish Pacific Northwest indie labels. It is both ‘up058’ for Up Records, and ‘s008’ for Suicide Squeeze Records. Up was founded in 1994, and Suicide Squeeze in 1996, but the ties between everyone involved were already deep by this point. 764-Hero’s first 7”, “High School Poetry,” came out on Up Records, and their second 7”, “Now You’re Swimming,” was Suicide Squeeze’s first ever release. Modest Mouse’s “A Life of Arctic Sounds” 7” would be their third. Up, of course, put out most of Modest Mouse’s records through the Building Nothing Out Something compilation, as well as almost all of 764-Hero’s albums, barring their last. “Whenever You See Fit” is thus the point at which all four lines finally converged. There was surely a lot of love in the room. Because 764-Hero were still a duo at the time, the Mouse’s Eric Judy had the responsibility of being the lone man on the low end, while the dueling drummers and guitarists pushed and pulled for space in the other ranges. This would ultimately be the last time singer/guitarist John Atkins and drummer Polly Johnson (ex of Bell Jar) represented on tape as a two-piece. Later that year, in October of ’98, they put out Get Here and Stay, a lush departure from their previous output, and the first of two albums they would record with James Bertram (Lync, Red Stars Theory) who jumped in on bass to help expand their sound. 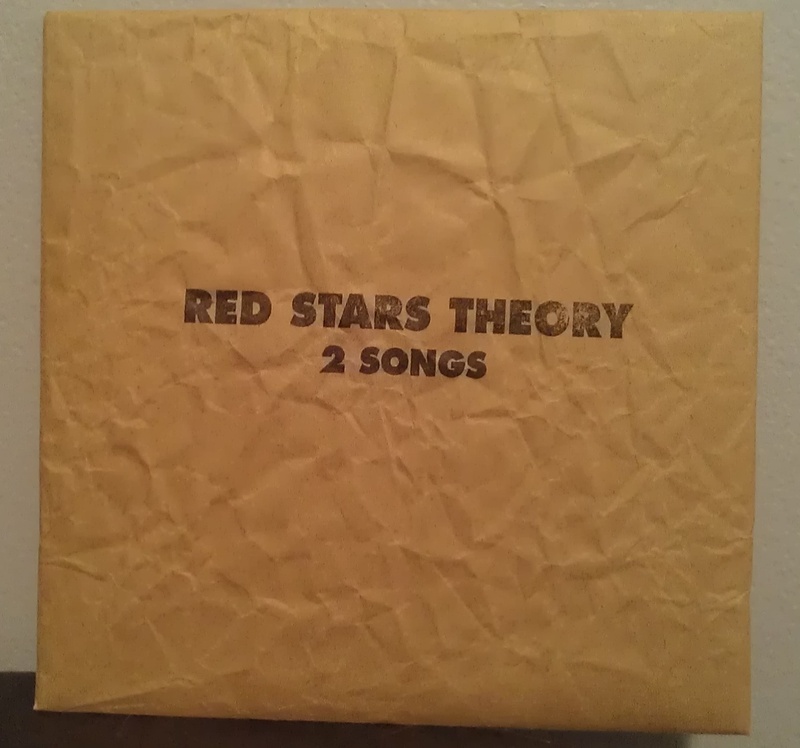 Coincidentally, Bertram’s post-rock dreamscapers Red Stars Theory would go on to record a single of theirs on Valentine’s Day the very next year, the “Tremely”/”Rustin” 7”, which was released by the Paper Bag Series. For having the ramshackle feel of an impromptu improvisation – which it sort of is – the two bands’ trademark characteristics are out in force from the start. The first chord, even: in 764-Hero’s early years, Atkins had something of a predilection for dramatically up-strumming dissonant chords. The animated note bends, which begin sixteen seconds in, were also firmly established as one of Isaac Brock’s tells early on. Such was the strength of their respective personalities already. Not bad for two acts that were still routinely compared to wider-known contemporaries like Built to Spill at the time (the Up Records connection probably didn’t help). Various song lyric websites will tell you that Brock sings the line “talking like a talking bell.” I refuse to believe this. For a lyricist as playfully abstract and alliterative as Brock, “talkin’ like Taco Bell/you go to bed early and you talk to your pillow” (what these ears have always heard) makes much more sense. A “talking bell” is not a thing anywhere, but Taco Bell most certainly is. As things wind down toward the end, Atkins finds his way back to the mic and gets the last word in, sighing a resigned and unconvincing “everything’s fine.” Throughout, Atkins’ sigh and Brock’s yelp intertwine with more poignancy than could be reasonably expected. The effect of them repeating the same few phrases over each other comes off almost like sampling. 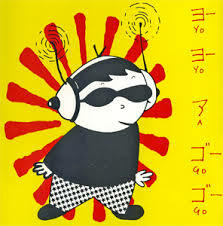 In fact, the differences between the vocal interplay in the actual song and the two chop shop remixes are insignificant. 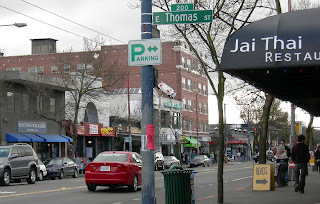 Speaking of, side B widens the ‘local legacy’ scope of the record, adding to the snapshot of Seattle’s scattered-but-vibrant post-grunge landscape of that moment with appearances by Sientific American (sans ‘c’ here, though not later) and Dynomite D. Sientific American is/was Andrew Rohrmann, who played with Atkins (along with John Wickhart) in his pre-764-Hero band Hush Harbor. Short-lived but beloved, Hush Harbor’s aggressive vulnerability was ultimately limited to a five-song EP recorded by Phil Ek and put out by – you guessed it – Up Records. That one was up012 in 1995. There is also a stray track or two out there, like the live version of “Day Old Tree” on the 1994 Yo-Yo-a-Go-Go compilation. While Atkins held on to his guitar after Hush Harbor, Rohrmann shacked up with modern technology. Under his new copyright-taunting moniker, he sought out ways of making sample-fueled electronic music that was neither dance nor ambient – not the “Electronica” path most taken at the time. Rohrmann’s music was featured in art exhibitions, and soon enough he would go on to find ‘commercial’ success soundtracking ads for major companies. In addition to his remix contribution here, Rohrmann also did the design. “Whenever You See Fit” is an outlier in the catalogs of both bands. The song bears many of their distinct stamps, yet it would still be out of place on any other record between them except its own. Modest Mouse certainly had protracted workouts like “Trucker’s Atlas” and “Edit the Sad Parts,” but they weren’t quite as long, and their wires were hotter and more taut. 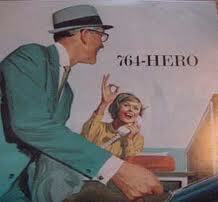 764-Hero were even more in the habit of keeping things concise. “Whenever You See Fit” is all unfurling slack. Brock draws out a few great earworm riffs, and they get more than enough space to breathe – as do Judy’s choicest bass lines, and everyone else’s best ideas as well. How much of the song was in place before they hit the ‘record’ button? It’s hard to imagine every minute coming pre-scripted, but there was enough structure in place that everything comes to a perfect swell at the 7:20 mark, exactly half way through. The Moon was playing everywhere on this street circa 2000. Modest Mouse entered the aughts by putting out the aforementioned Building Nothing Out Something in the first month of the new millennium, after which their move to Epic Records was cemented, and they joined a growing legion of bands who could retain indie cred while residing on a major-major label – a distinction which has even less significance today, if any. The Moon and Antarctica was launched a mere six months later in June, and that was that. In Seattle, at least, it was omnipresent. 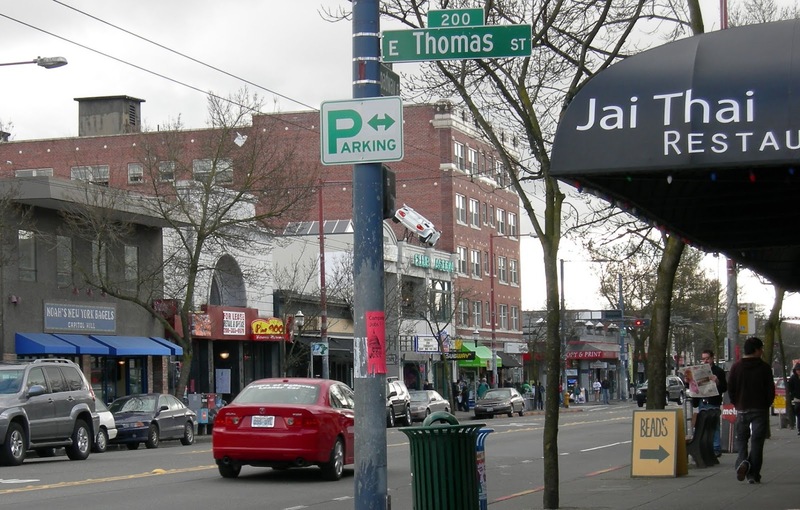 One weekday afternoon that summer, I was walking south on Broadway from Orpheum Records (which, now gone, was at the north end of the street’s business district on Capitol Hill) to the book store Twice Sold Tales, stopping at a coffee stand along the way, and The Moon and Antarctica was blaring at all three in such timing that it continued almost perfectly from place to place as I went along. Meanwhile, 764-Hero continued the two bands’ tradition of putting out records within a month of each other when they released Weekends of Sound that July. It would be their last for Up Records, but not because they jumped to a major label. The Moon and Weekends both showcased artistic growth. In Modest Mouse’s case, there was widespread relief that they hadn’t ‘sold out’ their sound, whatever that might have entailed – rap rock? – at the time. Still, a small end had already come to a small part of a small era. With the Mouse’s new notoriety and obligations, it was difficult to imagine the two best-friend bands coming together in the studio again in the same random and carefree spirit, captured perfectly by the picture on the “Whenever You See Fit” sleeve: the five warmly dressed musicians throwing rocks through the shattered windows of a bricked-up industrial building at night. Thankfully they did so when they had the chance.